Since the start of their career back in 2009, the Kiev-based duo has come a long way from being Ukraine capital’s local heroes to becoming an internationally recognized live act with their own signature sound. And it is right now when they’re making a step forward both in terms of building up their studio and by widening their audience globally. 2012 saw Woo York’s debut vinyl release put out, with excellent remixes from Truncate and MRSK accompanying well-tailored original tunes. Following up on what seemed to be a nice start was a series of EPs on Planet Rhythm and Soma further improving their position within the scene. Tracks like ‘Solar Diet’, ‘I am Against’, ‘Acid Rain’ and ‘Ancient Light’ have been played out by techno’s busiest figures, while the likes of Samuli Kemppi, Ø [Phase], Jeroen Search and Edit Select happily stepped in for remix duties. The long-lived imprint Planet Rhythm, nowadays managed and curated by Woo York, is gaining second life now, having doubled its productivity since few years ago. The label’s artist roster is about to feature Developer, Oscar Mulero, Christian Wünsch, Claudio PRC, Samuli Kemppi, Eduardo De La Calle and others, in no small part thanks to the duo’s efforts. Another milestone in Woo York's career is their appearance on Life And Death in early 2015. 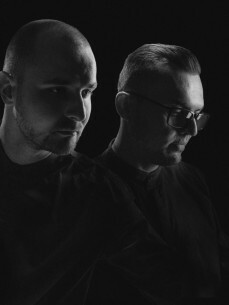 Since their debut EP 'The Valley Of Songs' hit the stores, the duo has become closely associated with the globally renowned label rub by Tale Of Us and - naturally - has taken part in a number of Life And Death showcases around the world, including but not limited to gigs in Dubai, Barcelona, Offenbach's Robert Johnson, Sonus Festival et al. Not to mention their already impressive gig portfolio consisting of shows at Berghain, Tresor, Corsica Studios and other major venues all across Europe.